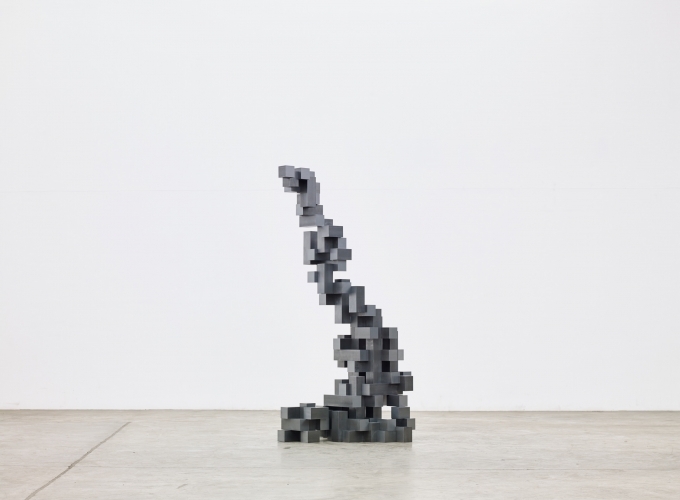 Sean Kelly is delighted to announce a major exhibition of new work by Antony Gormley. The opening of the exhibition will take place on Thursday, October 25th from 6pm until 8pm. The artist will be present. Architecture is supposed to be the location of security and certainty about where you are. It is supposed to protect you from the weather, from darkness, from uncertainty. Blind Light undermines all of that. You enter this interior space that is the equivalent of being on top of a mountain, or at the bottom of the sea. It is very important for me that inside it you find the outside. Also you become the immersed figure in an endless ground, literally the subject of the work. Blind Light was included this summer in Gormley's hugely acclaimed exhibition at the Hayward Gallery, London, to unprecedented public and critical approbation. Some 208,000 people experienced the installation, making it the most visited exhibition of a living artist in the Hayward's 39-year history. The exhibition was extensively covered by the media including CNN and Good Morning America. 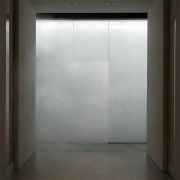 The Hayward Gallery also produced an accompanying catalog titled Blind Light that includes an essay by Anthony Vidler, the Dean of the School of Architecture at Cooper Union in New York. A five hundred-fifty page comprehensive monograph on Gormley's work was published concurrently by Steidl Mack. In addition to Blind Light, there will be a number of new sculptures on view. These works, as with so much of Gormley's oeuvre, show the artist revitalizing the practice of figurative sculpture through his investigation of the body (often his own) as the locus of memory and transformation. Antony Gormley is, without question, one of the most significant artists of our time. His work is included in many major public collections worldwide including The Tate Gallery, London, The Centre Georges Pompidou, Paris, The National Museum of Modern Art, Tokyo, The Museum of Contemporary Art, Los Angeles, The Walker Arts Center, Minneapolis, The Museum of Modern Art, Fort Worth, and The Museum of Contemporary Art, San Diego.